Home arrow_forwardWP Blog Home Page - Main blogarrow_forwardIt’s National Walk Your Pet Month! According to Pet Obesity Prevention, 57.9% of American pets are overweight or obese and even an extra two pounds on your cat (or five on dogs) is associated with greater risk for disease. Not only is walking a good activity for us, but for our pets too. To get the most out of your time together, don’t walk and talk on the phone. Use this time to focus on your pet. They spend a lot of time alone already and need you. Praise them when they walk well and pay attention to you. Make the walk pleasant for you and your dog. Always carry bags for cleaning up and disposing of doggie poop. Leaving dog waste is not only a health hazard, but in many cities, it’s a code violation. Don’t forget to hydrate, carry water for yourself and your dog, especially in warmer weather. Use your hands as a bowl or you can carry a collapsible water bowl. Don’t forget to pack your dog’s favorite treats for rewarding good behavior during the walk, especially if training! 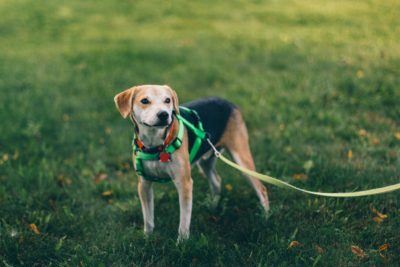 To make walks more fun for you and your dog, pick new paths—and travel off the normal route by taking your dog on different routes, going to exciting places like the dog park or taking walks with friends and their dogs. During the winter it gets dark early. If you normally walk your dog before the sunrise or late afternoon/evening hours, you want to make sure you can be seen by motorists, bicyclists and other dog walkers/pedestrians. A lighted leash and collar combination is good for your dog. You will do well to wear light colored clothes at least and better yet, a reflective vest or jacket. 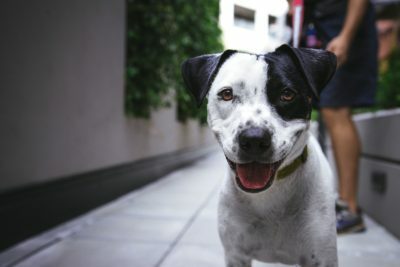 How much walking time is enough for your dog? HealthyPet.com says every dog’s exercise needs are different; there is no single right answer for all dogs. Factors to consider are your dog’s size (especially the length of his or her legs), breed, age, general health, and the walking environment. Watch your dog while you’re walking—if he starts panting and slowing down, you’ve gone far enough. For more dog walking tips check out the Wellness blog and Rover.